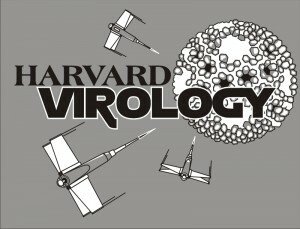 Harvard University is home to some of the world’s finest virologists. But apparently they do not communicate with the writers at Harvard Magazine, where a botched story on the avian H5N1 influenza virus has just been published. But when Dutch researchers recently created an even more deadly strain of the virus in a laboratory for research purposes, they stirred grave concerns about what would happen if it escaped into the outside world. Readers of virology blog will know by now that the Dutch researchers did not make an ‘even more deadly strain of the virus’ – they made one that could be transmitted by aerosol, but which had lost its lethality. The title of the article, ‘The Deadliest Virus’, presumably refers to the H5N1 virus that transmits by aerosol among ferrets. This title is simply wrong, because the virus is not deadly to ferrets. If you make a strain that’s highly transmissible between humans, as the Dutch team did, it could be disastrous if it ever escaped the lab. Dr. Lipsitch seems to be saying that the Dutch group created an H5N1 virus that transmits among humans. As far as I know, ferrets are not humans. The modified H5N1 virus could infect a billion people if it escaped a biocontainment lab like the Canadian facility shown above. It could infect millions of people in the United States, and very likely more than a billion people globally, like most successful flu strains do. This might be one of the worst viruses—perhaps the worst virus—in existence right now because it has both transmissibility and high virulence. For Lipsitch to say that the virus is both transmissible and of high virulence in humans is a misrepresentation of the Dutch group’s findings. He seems to be making up numbers and scenarios. Perhaps Dr. Lipsitch does not know that ferret studies are not predictive of how viruses will behave in humans. With so many virologists at Harvard, the writer could have checked Dr. Lipsitch’s statements. But he did not, and the result looks as foolish as the New York Times. University (please see the Faculty link), as is implied in this post. I did not imply that Dr. Lipsitch is part of the virology program. There is no need to defend the virology program as I was not being critical of it or its members; indeed, I praise the program in the post. I do think that Harvard is Harvard, as Columbia is Columbia, and so on. It is not appropriate to distance oneself from someone in the School of Public Health just because you are in the medical school of the same institution. Anyone at Harvard should be outraged that such a misleading article has been published under the Harvard banner. The Harvard Magazine goes out to all of Harvard and its graduates, and has a great deal of power. One only need look at the comments at the original article to understand this. Harvard vs. Columbia … your bet ? and more deaths in total would be “more deadly” ? while there is no evidence to the contrary. Lipsitch did not say it’s “both transmissable and highly virulent”. how this translates to his subjective probability estimates. while they gave no new evidence to the contrary. “which had lost its lethality” is perhaps false, because of the six ferrets injected in the trachea all died in this experiment.